This elegant La Femme 26606 dress will look good at any event. 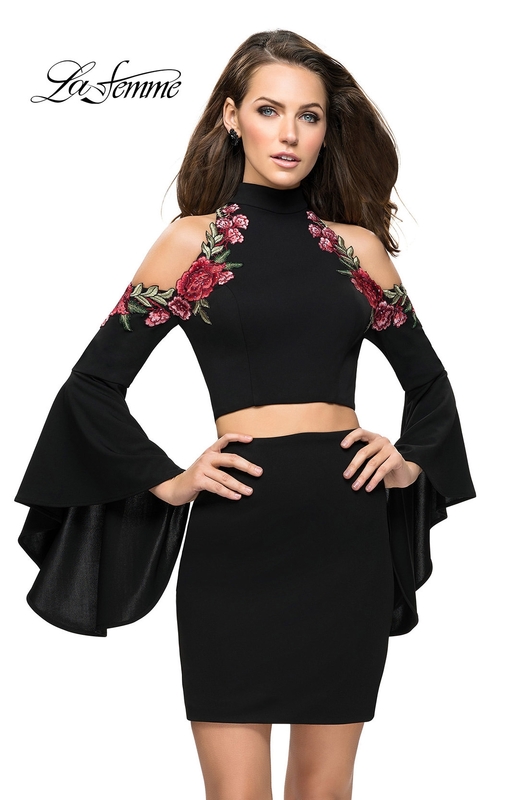 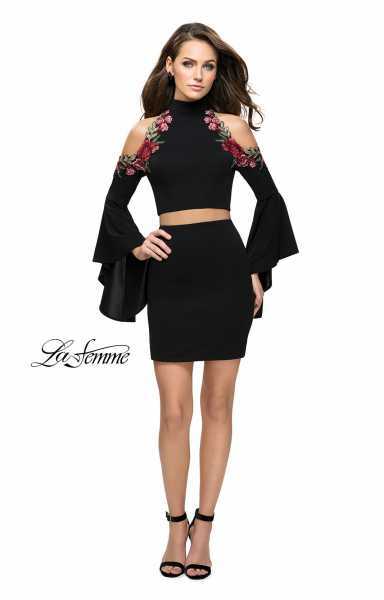 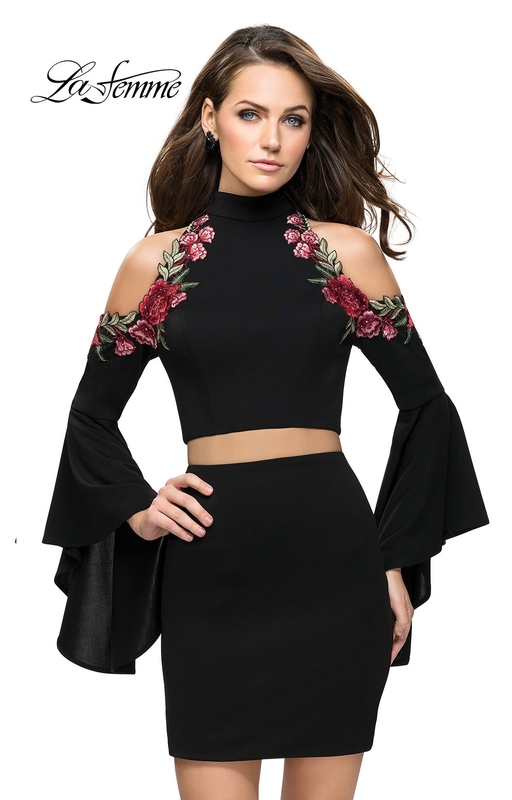 This dress is a short two piece with long sleeves. 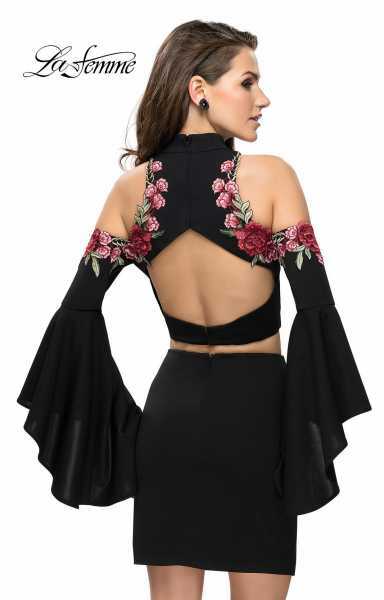 This prom dress has cut-outs at the shoulders and an open back.